Sports medicine and sports physical therapy involve a comprehensive team of healthcare professionals dedicated to improving athletic performance through the treatment and prevention of sports injuries. These qualified professionals have a wide range of backgrounds including exercise physiologists, athletic trainers, physicians, biomechanists, nutritionists and physical therapists. At ProActive, our goal is to improve athletic performance. We take pride in preventing, identifying, minimizing, and correcting athletic injuries through a series of treatments. Pre-participation screening – Physical therapists will assess and identify any issues that may lead to an injury in an athlete. Cardiovascular, resistance, endurance and neuromuscular re-education exercise programs – Athletes may be educated on a variety of programs that will help improve their wellness and performance. Taping and bracing – If deemed necessary, physical therapists can minimize injury occurrence by taping and/or bracing ankles, elbows, and other areas susceptible to injury. Sports specific ergonomic and training regimens – Our sports medicine experts may prescribe ergonomic adjustments to improve mobility in athletes, as well as training regimens to enhance performance and increase wellness. Manual physical therapy – In some cases, hands-on treatment of joints, muscles, and limbs may be used to improve muscle ability, mobility, and function. Orthopaedic physical therapy – Orthopaedic physical therapy treats conditions of the musculoskeletal systems, which consists of the bones, muscles, joints, ligaments and more. Choosing ProActive Physical Therapy Specialists means working with Oregon and Southwest Washington’s premier sports therapy experts. Our physical therapists are invested in your health and athletic performance, whether you’re beginning a fitness routine or a trained professional. Our holistic approach emphasizes care that’s thorough, hands-on, and tailored to your individual needs. The ProActive team consists of highly-skilled professionals trained in a variety of athletic specialties. Many of our therapists are board eligible for the designation of Sports Certified Specialist (SCS) through the American Physical Therapy Association (APTA), a designation held by less than 2% of physical therapists nationwide. The advanced clinical knowledge and skill set that comes with a Board Certification allows therapists to better treat the patients in their specialty and keeps them up-to-date with cutting-edge research and technology. The SCS certification concentrates on acute and critical sports injury treatment and sports injury prevention and wellness. We look at the best way to minimize discomfort, maximize performance, and get you back in the game. Every treatment is backed with the latest in sports medicine science and research, giving you 100% – just like you do in your sport. Who Benefits From Sports Physical Therapy at ProActive? ProActive Physical Therapy Specialists helps hundreds of athletes take control of their performance by staying injury-free and in the game. All of our therapists have earned a Masters or Doctorate degree in physical therapy. Professional and amateur athletes of any age can benefit from our dedicated treatment and prevention of sports injuries. No matter what sport you play, from football to basketball to bow hunting, you can trust us to provide the best quality of care for your sports injuries. ProActive treats a variety of sports injuries including concussions, back pain, neck pain, hamstrings, ankle injuries, shoulder injuries, strains, sprains and other conditions associated with athletics. If you’re in pain, contact us today to see how we can help you return to play quickly, efficiently, and with lasting results. When should I see a sports therapy provider? You should see a physical therapist at ProActive if you’ve suffered an injury that doesn’t go away after a few days of rest or your athletic performance is diminished. Physical therapy is also a great way to improve your speed, agility, and physical condition and stay injury-free! Treatment times vary from patient to patient, but the average appointment lasts for one hour. Your therapist will inform you of an estimated treatment timeline at your first appointment. When can I return to full performance? 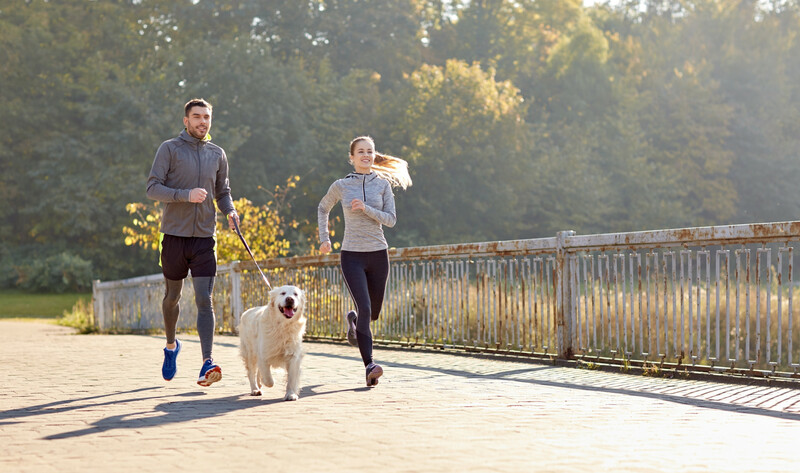 The estimated time for returning to your regular activities depends on the nature of your injury, your treatment process, and the recommendation of your sports medicine professional. Rest assured, the ProActive team will come up with the perfect plan to get you back to 100% quickly and with lasting results. Experience improved performance and endurance. Get a customized sports physical therapy treatment plan when you schedule an appointment.